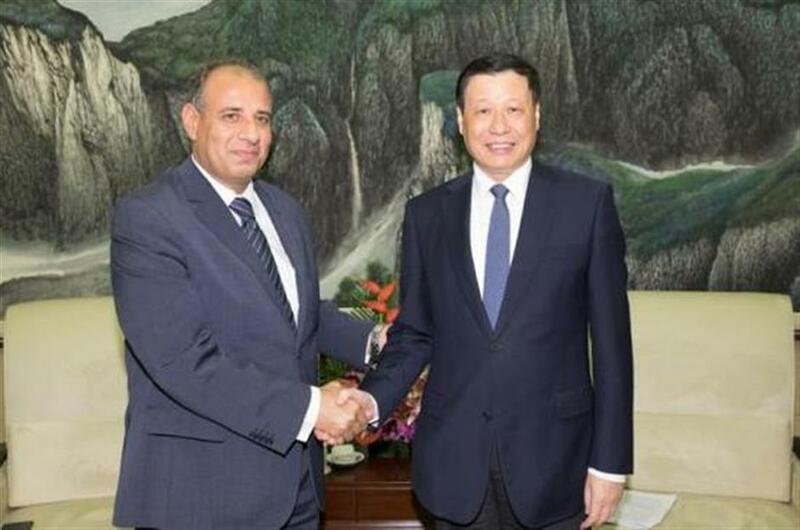 Shanghai Mayor Ying Yong met Mohamed Sultan, governor of Alexandria, and his delegation from Egypt yesterday. Ying said China and Egypt are two great civilizations with long history and rich culture. Their leaders have frequent exchanges and have cooperated extensively since the two countries established comprehensive strategic partnership. He noted that this year is the 25th anniversary of the sister-city relationship between Shanghai and Alexandria. Shanghai wants to strengthen cooperation with Alexandria in transportation, infrastructure construction, and environmental protection for win-win outcomes within the framework of the Belt and Road Initiative. Sultan said Shanghai is the economic center of China. He felt proud that the sister-city partnership has lasted for 25 years. He hoped to deepen cooperation with Shanghai in areas of culture, trade, tourism and urban construction. Egyptian Consul-General in Shanghai, Khaled Youssef, was present at the meeting.